Easy spray application for long term anti corrosive protection. 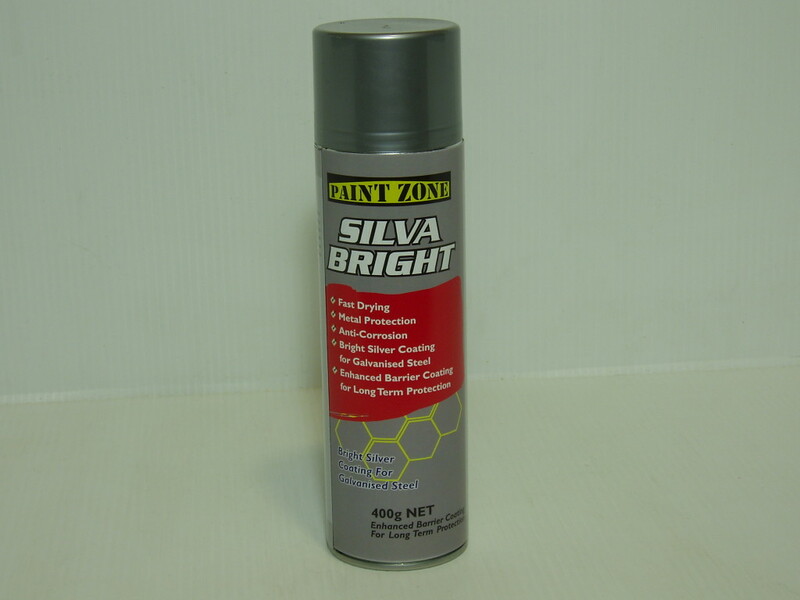 Paintzone Silva Bright is a fast drying metal protector which is anti corrosive and gives enhanced long term barrier coating. Paintzone Silver Bright gives off a bright silver finish similar to hot dip galvanising as it does not have a zinc component. Paintzone recommends using Paintzone Silver Bright over Paintzone Super Etch or Paintzone Cold Gal for rust protection in highly corrosive areas.